Blog - Loving the cold winter nights! Loving the cold winter nights! Wow – I’ve been blown away by all the amazing new drama’s that are on TV at the moment, it’s brilliant. I got completely hooked on Mayday and I loved the fact it was on BBC1 on 5 consecutive days at the same time every night. This has lead onto some interesting discussing about the scheduling as many ‘industry people’ have said that people wouldn’t commit to spending this amount of time to follow a TV programme. I completely disagreed with this argument/view as I actually prefer to watch a series in a short space of time as I was able to remember exactly what happened the night before! The TV viewing figures seemed to agree with me as Mayday’s viewing figures remained steady and even increased towards the end of the week. Tonight we have the second episode in the simply fantastic Broadchurch starring David Tennant, Olivia Coleman, Andrew Buchan, Jodie Whittaker, Pauline Quirke and many others. The first episode was harrowing with the murder of 11yr Danny Latimer who’s body was carefully left on the beach – was it positioned in a symbolical way? The character’s were perfectly portrayed, from DI Alec Hardy (David Tennant) taking DS Ellie Miller’s (Olivia Coleman) promotion whilst she was on holiday to the family’s grief of losing their son and the secrets that are hidden amongst the town and the community. I can’t wait for tonight’s episode! 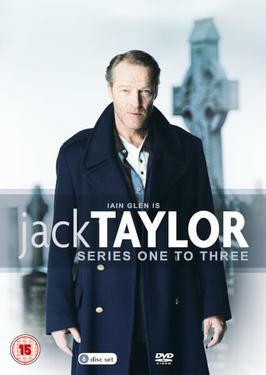 And then there’s Jack Taylor on Five, Jack is not just an ex cop, he’s an ex drunk cop that’s also been kicked out of the Guards, Jack doesn’t do things by half! 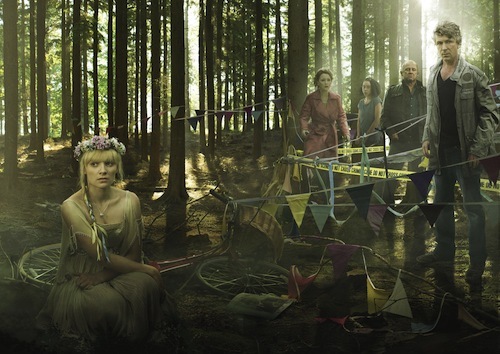 This great series written by Ken Bruen has been overshadowed I feel, by Mayday and Broadchurch but after watching ten minutes its on my list to catch-up on asap, luckily the DVD is out in a couple of weeks so I plan to catch up with the DVD. I’m quite enjoying the cold, snowy, wintery nights at the moment – because I can stay in, keep warm and watch all this brilliant new drama on TV and DVD.